I do appreciate however how this look and probably feels in the hand. The Flip case that an almost cloth like feel to it. A rough cloth feel so it feels like it won't slip out of your hand. To put it on you take the back of the Moto G, then snap the case in place and the cover then covers the entire screen and is magnetized. It turns the screen on and off as its opened and closes. Overall very happy with it. 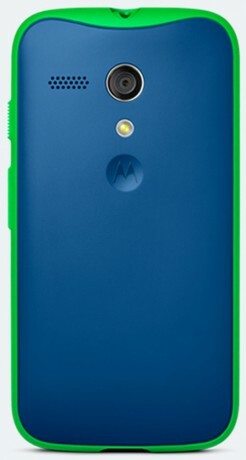 FYI: By default on the Motorola website when ordering the flip case the shipping is set to 2 day, for $10 and some change. Standard shipping still made it to me less than a week and it was $5.